At our hip hop original series blog we’ll highlight and exhibit films with Hip Hop themes by independent Urban Filmmakers worldwide. 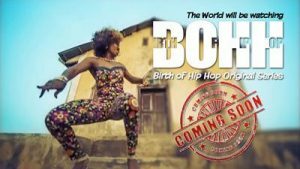 BOHH will also produce its own Original Dramatic Series Depicting the evolution of the Hip Hop Culture. Subscribe to one of best hip hop original series blogs now and stay tuned in the most prolific Hip Hop Original Series on evolution of Hip Hop Culture.